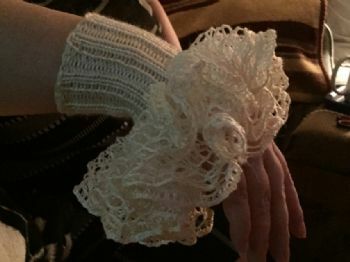 So, I got my first order for a pair of loom knit ruffle wrist cuffs - yay! Also, have made 2 sales of the pattern in Ravelry - yay! NELLJONES - they're for dressing up, not everyday. Intriguingly lovely! Way to go! It looks pretty but impractical.